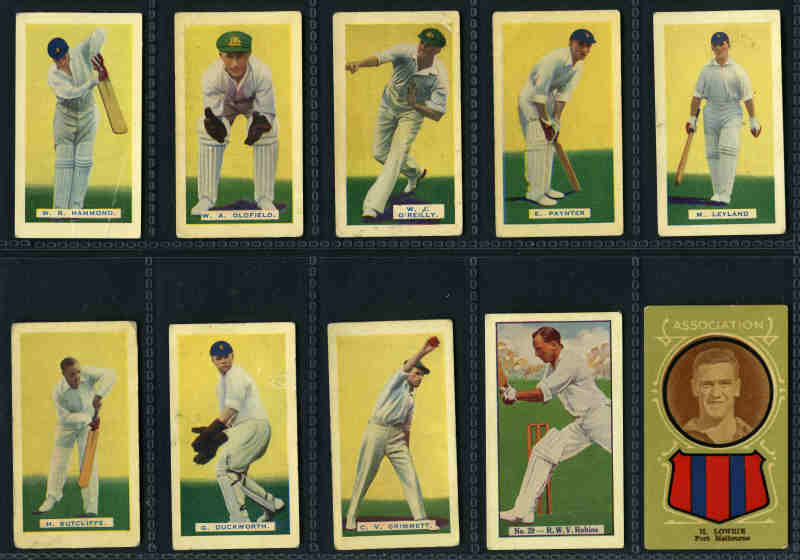 Amalgamated Press 1932 Australian and English Cricket Stars set of 32 (Freeman card with faults), 1933 Motors (plain back) set of 24 and 1933 Aeroplanes (plain back) part set of 23 (missing card 23), in specially issued souvenir albums, Allen's 1931 Bradman's Records (2), Australian Licorice 1931 Cricketers (2), Sweetacre 1932 Test Records (3) and 1932 Prominent Cricketers (3). Catalogue Value £510.00. 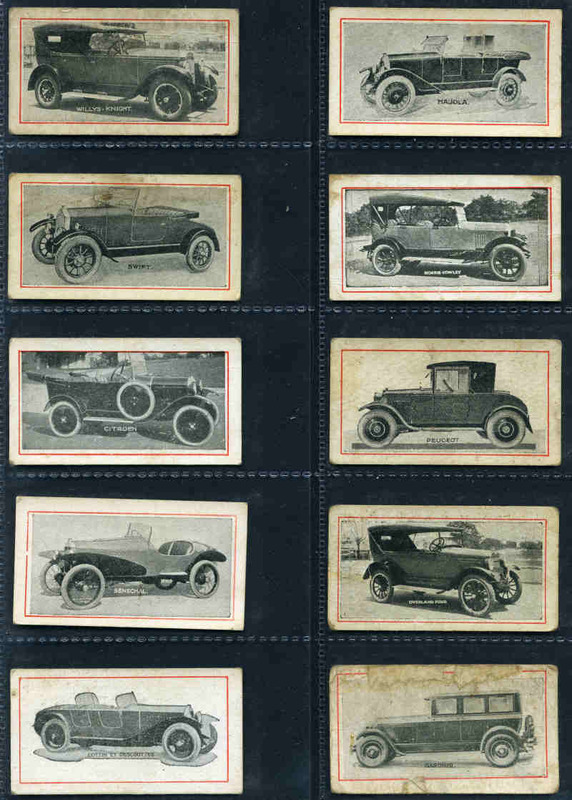 Also range of miscellaneous items including 1930's Amalgamated Press near complete The Champion Portfolio of Sport, The Triumph Portfolio of Flying and The Triumph Album of the Great War. Mainly in very good condition. 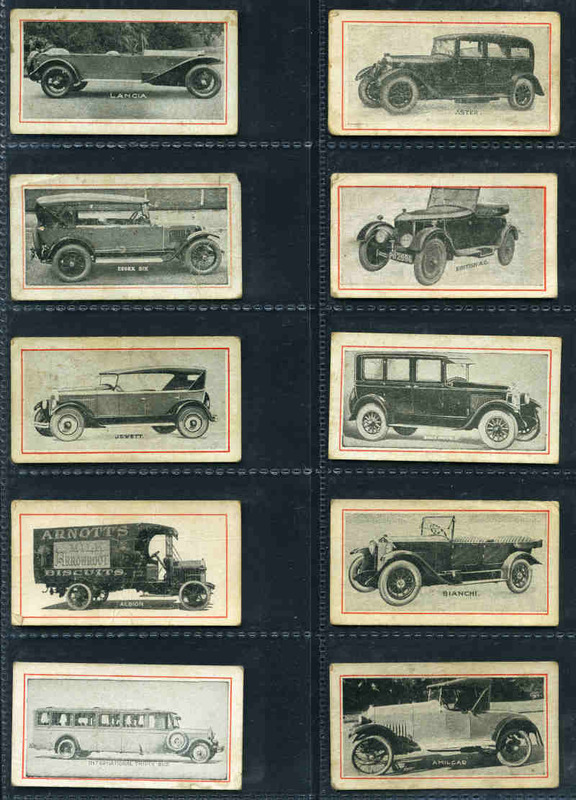 Selection of 98 different Trade Cards including Hoadleys 1932 Empire Games and Test Teams (8), MacRobertson 1916 Naval and Military Decorations (4), Griffiths Bros 1920 Motor Cars and Motor Cycles (24), J & W Bateman 1920's Australian Birds & Animals (28) and Cadbury Bros 1910 British Birds & Eggs (6). Condition varies. Catalogue Value over £400.00. Selection of 753 Basketball cards including Fleer, Topps, Skybox and Upper Deck. Includes several Football cards.